Organizations across the country are uniting to support bioenergy. On October 24, 2018, participating organizations will open their doors to their communities to demonstrate the many benefits that bioenergy provides on a local level. 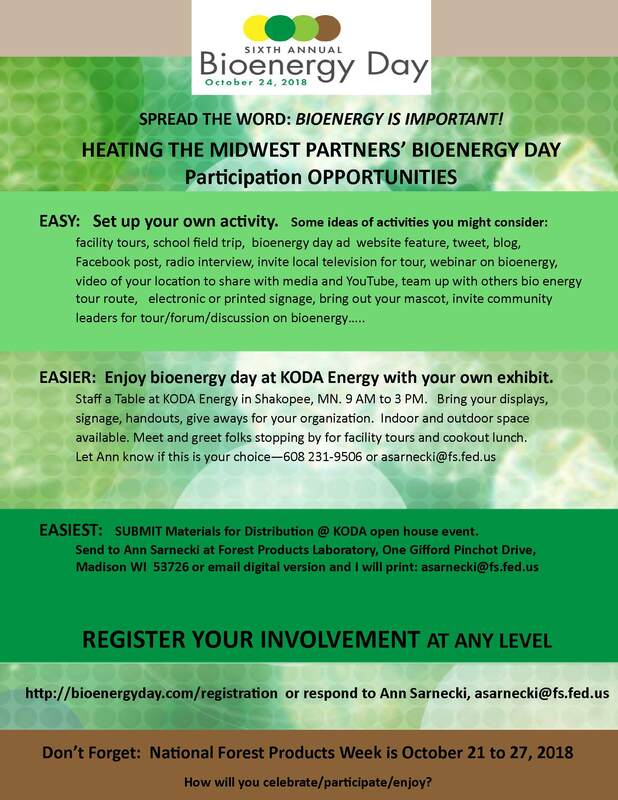 View full list of 2018 Bioenergy Day Participants here . FutureMetrics LLC has published a new white paper discussing the model it has developed for estimating the cost of producing and transporting wood pellets from major producing regions to the foreign ports of major industrial end users. Download the new publication here . A proposed wood pellet plant in Maine was recently awarded a $200,000 grant through USDA’s Rural Energy for America Program. The REAP award was announced by Rep. Chellie Pingree, D-Maine. According to information released by Pingree’s office, T&D Wood Energy LLC was awarded $200,000 in REAP funding to support the development of a $5.7 million wood pellet plant in Sanford, Maine.